People from all over the world invest in property to increase their wealth and secure life for future. Property market of Bhopal is emerging rapidly and there are number of builders and developers who offer affordable property to investors. Currently, there are more than 50 construction projects in Bhopal. According to the National Residential Property Index, Bhopal is emerging as the second highest property market after Chennai for investment in residential property. ore interested in purchasing modern flats or independent house with all modern amenities in Bhopal. 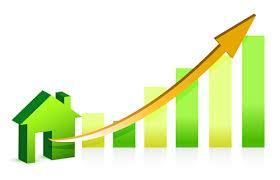 Bhopal has capability of real estate market offering lots of growth opportunities in property investments. Bhopal property market has received great response from large Indian companies and Non Resident Indians and its helping the real estate investments segments to provide the required capital funding for development of residential and industrial projects in the city. People like to invest in Bhopal because it offers many attractions. The city is growing and so are shopping malls, theatre and other necessities. It is ideal to plan a residential property in Bhopal for retirees and business people who want peaceful life. Many experts have assessed the Bhopal property is the best options for investment purposes because this city is not very congested. Those who like to get away from the fast paced life in urban areas like Mumbai, Delhi; Bhopal is a good place to own property. However, it is observed that in some places of Bhopal, property rates, per square foot, are high, even more than metropolitan cities. But since the city is not saturated buyers have the options to purchases property required to their needs. Bhopal property is lucrative business as it provides different options; residential property, commercial property and industrial properties. Many IT companies are being set up in Bhopal and its sure that in near future those prices of property may go very high due to fast development and increasing demand. Such developments are good enough to convince people to plan for residential or commercial property in Bhopal. As city infrastructure is improving rapidly, investor can continuously watch prices grow, so investment in Bhopal property is a good choice. In Bhopal, several business buildings, residential properties, or sites in particular economic regions are all available for investors. They can get instant profit in purchasing plots, or any type of property in Bhopal. Another important aspect of Bhopal property is, many commercial and residential accommodations are available for rent. Rental properties are at affordable rates so investors can start their business offices ware houses and generate profit from such sources. Leading builders in Bhopal include The Signature Group, Chinarr Group, Metro Builders & Developers, Ritu Constructions, Agrawal Construction, Mahendra Builders, Om Construction & Builders, Meenakshi Builders, Fortune Builders, A G Group, Unitech froup.